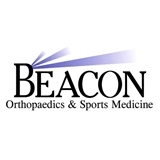 Beacon Orthopaedics & Sports Medicine (Cincinnati) - Book Appointment Online! Beacon Orthopaedics and Sports Medicine offers a full range of orthopaedic services for the treatment of musculoskeletal injuries in patients of all ages. Some of the most popular orthopaedic services we offer include orthopaedic surgery, spine surgery, total joint replacement, arthroscopic surgery, sports medicine, regenerative medicine and more. Beacon is comprised of Board Certified and Fellowship Trained physicians. Doc Miller is great. He listens and responds to my concerns in a thorough manner. He knows his stuff. Dr. Foad is one of the nicest doctors I have ever seen. He is great at what he does....and very honest. Dr Argo is wonderful! All office staff is knowledgeable and professional. Everyone was friendly and the visit was quick there was not much waiting time at all. Dr Rolf was not able to treat me, but gave me a referral and I have high hopes for the future treatment.